Note: They only give out a limited amount of free samples everyday, so if it only offers you a coupon, check back tomorrow. 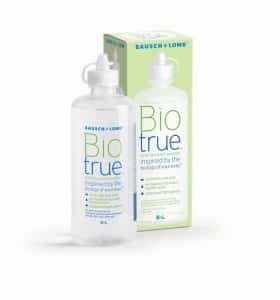 Click here to visit the Biotrue site and click “Try It.” On the next page click “no” and you’ll be able to fill out the form to request your free samples. Allow 2-3 weeks for delivery. It only gave me an option for receiving a coupon that they email to you…no free sample.